Where is Kahiki? What does Kahiki refer to? Why did Hawaiians travel so much between Hawaiʻi and Kahiki? Have you or other members of your family visited other places or lived outside Hawaiʻi? What are some of the reasons for traveling to different parts of the pae ʻāina and the world? For migration, how is a Hawaiian way of counting different from using specific years and dates? If someone asked you where Hawaiians are from, how would you answer? If you had some string and cloth, could you make a timeline representing your own life? What are some of the important memories, and when did they happen? "Eia Hawaiʻi, he moku, he kanaka. He kanaka Hawaiʻi ē. He kama na Kahiki." Here is Hawaiʻi. It is an island, a person. It is a Hawaiian person. A child of Kahiki. It can be hard to imagine, but there was a time when Hawaiʻi had no people. No homes, no buildings, no roads. No Prince Kūhiō Plaza, no Bishop Museum, no Hamura Saimin. So how did we get here? People migrated. Some of our oldest kūpuna decided to leave their homes and lifestyles for a new home. And they weren’t the only ones. Animals and plants migrated too. And these formed some of Hawaiʻi’s first inhabitants. Migration refers to the movement of people, animals, plants, or even things like soil and sand from one location to another. The wind carries plants or soil from one place to another. Animals travel, sometimes migrating to find better sources of food or to have safe places for their young to be born and raised. People have migrated and settled in various places throughout the world, often by travelling over land and with the assistance of animals, such as horses, camels, or elephants. Today people migrate all over the world using various sorts of transportation. And although your family may have lived in one place for several generations, chances are that further up your family tree, your family has migrated. Where we are now is the sum of our family’s migrations. What was humankind’s most remarkable migration? Our oldest kūpuna didn’t have cars, motor boats, airplanes, or even horses. There were no written maps. So when they wanted to move to a new home far away, it took a lot more preparation, planning, and skill. To get to Hawaiʻi, our kūpuna travelled over thousands of miles of open ocean, far out of sight of any island. They sailed on vessels crafted by hand using trees and stones. They used their knowledge of the sun, moon, stars, winds, ocean currents, and birds to guide them. That is why the most remarkable migration in the history of our planet is the one our kūpuna took. Using their skill, ingenuity, and knowledge gained over generations, they explored the vast ocean. In their travels they found new lands, returned to their home islands and then prepared to move to the new islands and make a new home. These Polynesian kūpuna included the original native or indigenous people of the islands they came to live on, including Fiji, Tonga, Sāmoa, the Society Islands, Cook Islands, Marquesas Islands, Tuamotu Islands, Rapa Nui, Hawaiʻi, and Aotearoa. Do you ever feel a special pull to the sea? If so, it could be because of our ancestors. The kūpuna who first landed in Western Polynesia (Fiji, Tonga, and Sāmoa) over 3,000 years ago came from a culture that was long familiar with ocean travel. Their ancestors had moved out from the Asian continent and sailed through the islands of South East Asia and Melanesia. 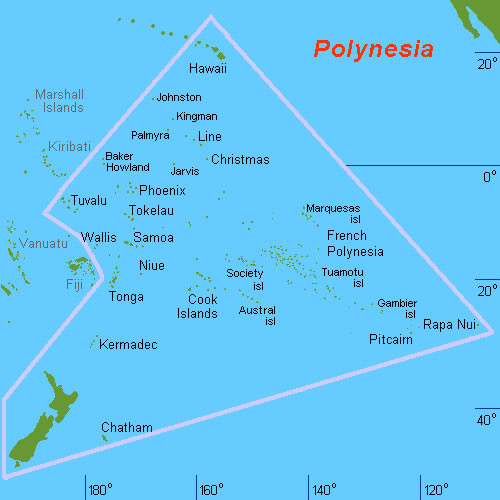 Their ancestors then moved into Western Polynesia where they remained for many generations, eventually exploring and settling the islands of Central East Polynesia (Cook Islands, Tuamotu Islands, Marquesas Islands, and the Society Islands). Thousands of miles of ocean to the next island group is a lot to paddle. Good thing our kūpuna had engines—wind energy, that is. They used their knowledge of the winds to fill their sails and get across the vast Pacific Ocean. And with their knowledge of other elements around them—ocean, stars, sun, birds—they wouldn’t get lost at sea. Our Hawaiian kūpuna identified more than 600 different winds! They knew the location, direction, timing, and strength of the winds of their ʻāina. 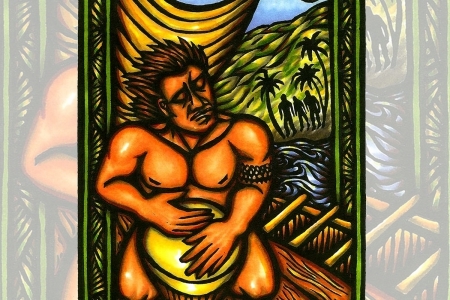 Today winds are still sung about in mele, they are still talked about in moʻolelo, and they are still observed in fishing, farming, and other daily activities. Intimate knowledge of the world helped our kūpuna succeed in their endeavors, and it does the same for us now. Both moʻolelo (traditional stories) and archaeological evidence suggest that Hawaiian kūpuna came from the region of Central East Polynesia (rather than only one or two single islands or island groups). In moʻolelo, that general area is referred to as Kahiki. Numerous trips would have taken place to and from various islands of Kahiki and Hawaiʻi. Fun activity: If your computer has the application Google Earth on it, type “Tuamotu” in the search field and hit return. Once it has located the Tuamotu Islands, type in “Hawaii” and hit return. See how much the earth shifts until you are able to see Hawaiʻi. Can you still see the Tuamotu Islands when looking at Hawaiʻi? Imagine yourself and your ʻohana travelling from the Tuamotu Islands to Hawaiʻi by canoe. What do you see, hear, smell, and touch? What do you feel? When did our kūpuna get here? One way to learn about the travels of our kūpuna to Hawaiʻi is through moʻolelo (traditional stories) and moʻokūʻauhau (genealogies). Experts in the courts of the ruling chiefs had the kuleana to carefully remember and pass on these moʻolelo and moʻokūʻauhau. Many moʻolelo describe voyages to and from Hawaiʻi. 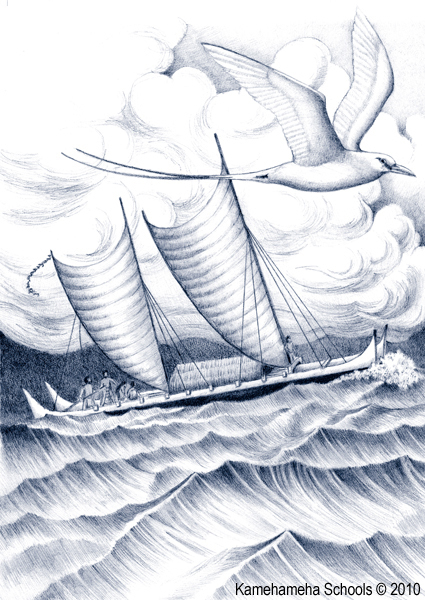 The names of voyagers are included in moʻokūʻauhau. Together the moʻolelo and moʻokūʻauhau offer important clues. But unfortunately, such accounts are not very detailed for the earliest set of voyagers. So it is hard to use them to estimate when the first kūpuna came to Hawaiʻi. However, the moʻolelo and moʻokūʻauhau become more detailed in describing the later migrations to Hawaiʻi. Such migrations involved various chiefs and their families going back and forth between Kahiki and Hawaiʻi. Aliʻi such as Nanaulu begin this migratory period. Others involved are such chiefs as ʻOlopana, Moikeha, Kahaʻi, and Laʻamaikahiki. 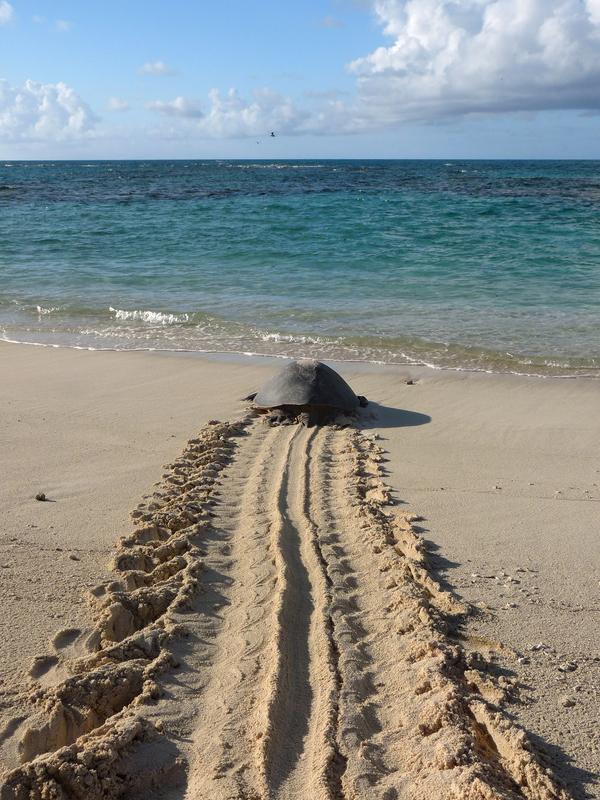 These migrations to and from Kahiki lasted for about 19 generations and came to a close also, by chance, 19 generations before the time of Kamehameha I. If each generation, on average, is about 20 years long, can you calculate the following? How many years were the 19 generations of voyaging between Hawai‘i and Kahiki (Central East Polynesia) occurring? How many years before the time of Kamehameha (that is, around 1750) did the 19 generations of voyages begin? How many years before the time of Kamehameha (that is, around 1750) did the 19 generations of voyages cease? 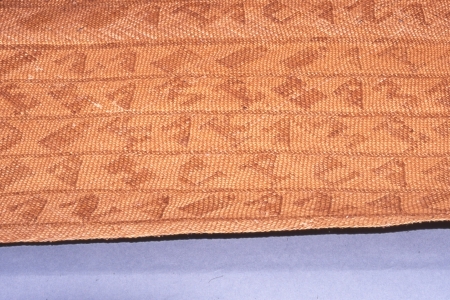 Another way of figuring out when Hawaiian kūpuna voyaged to Hawaiʻi is through archaeology or the study of artifacts. 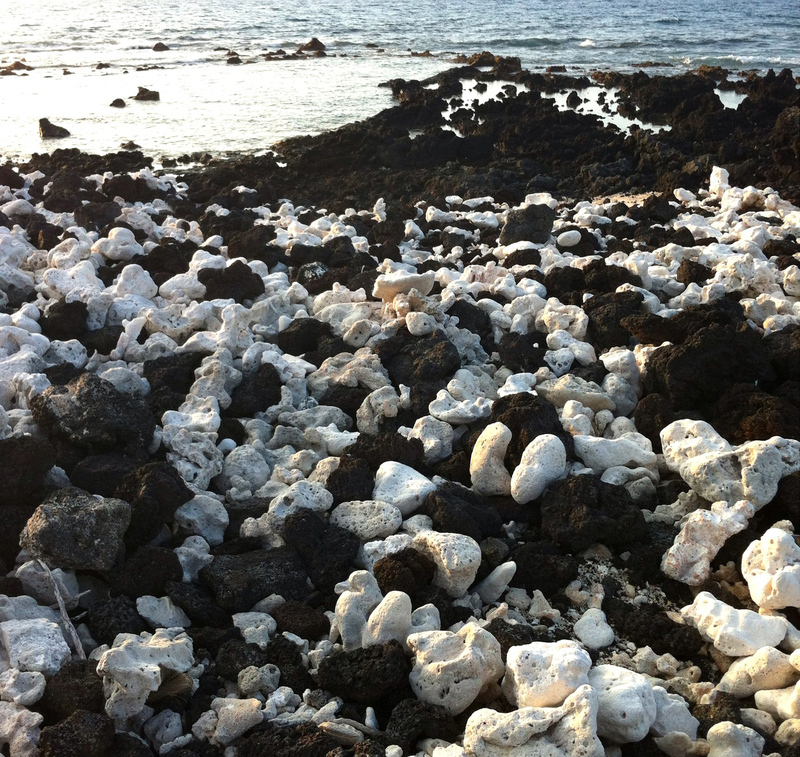 Artifacts are things that have been affected by human actions such as a cooking fire, a fishhook crafted from shell, a heiau made of stones, or even a water-worn river rock carried to a new location away from the river. Archaeologists are also uncertain about when our earliest kūpuna arrived in Hawaiʻi. Some say they arrived about 1,500 years ago or more. Others say it was more likely only 600 years ago. To better understand the timing, archaeologists use clues from such items as coral and plant material. Archaeologists analyze such items that were once living to estimate the dates of their death. The analyses look at how the items break down over time to estimate the time the items died. If the date of an item’s death was due to human activity—activity like harvesting a tree for firewood or picking live coral to offer it at a heiau—then archaeologists can say that the area where the items were found were occupied by humans by that date. The tricky part of such analyses is that it is difficult to know whether humans caused the death of a dated item. A tree could have been dead for many years before a person might have used part of it as a log for a cooking fire. There are early charcoal and coral dates from Hawaiʻi. 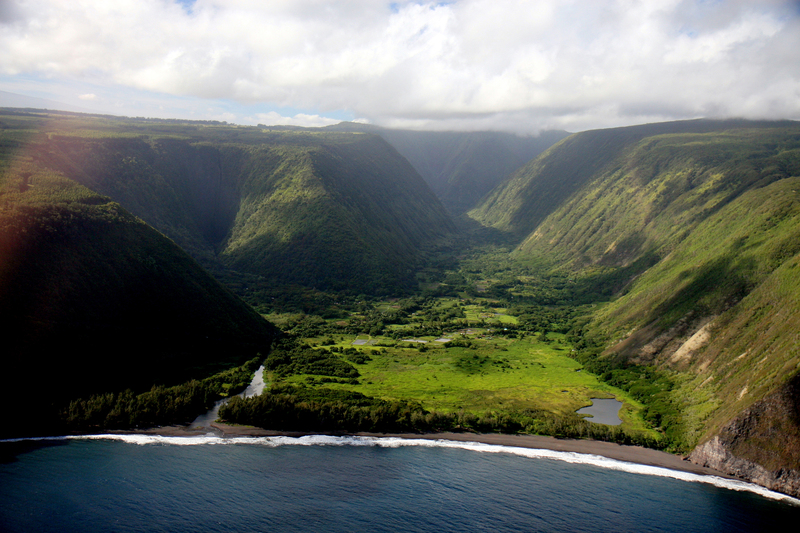 Some even seem to point to Hawaiian kūpuna arriving as early as 2,000 years ago. 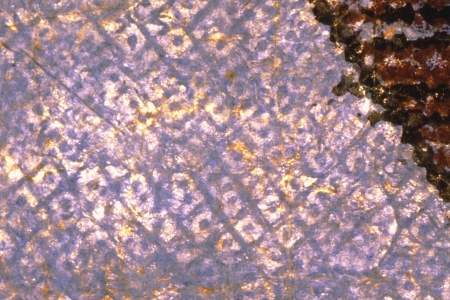 However, most archaeologists believe that such early dates are not related to human activity. These are some of the challenges in estimating when Hawaiian kūpuna arrived in Hawaiʻi. Any long voyage over a great distance comes with a fair share of risk and danger. This is not unlike the voyages our kūpuna took back and forth between Hawaiʻi and Kahiki. So why chance ‘em? In the case of Paʻao, he left his home island (Wawaʻu or ʻUpolu) in Kahiki because of a quarrel he had with his brother, Lonopele. 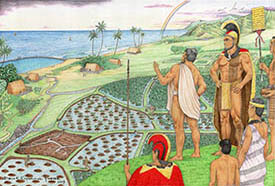 Moʻolelo of ʻOlopana, Moikeha, and Moikeha’s son Laʻa reveal other reasons for the journeys. The three voyaged from Oʻahu to Hawaiʻi Island and settled in Waipiʻo. When a tsunami hit, the valley was devastated and they decided to sail to Moaʻula in Kahiki in the hope of going back to the lands of their own kūpuna. Eventually Moikeha returned to Hawaiʻi and became a ruling chief on Kauaʻi. In his later years he wished to see Laʻa who had stayed in Moaʻula. So Moikeha sent his son Kila to go to Kahiki to bring back Laʻa for a visit. 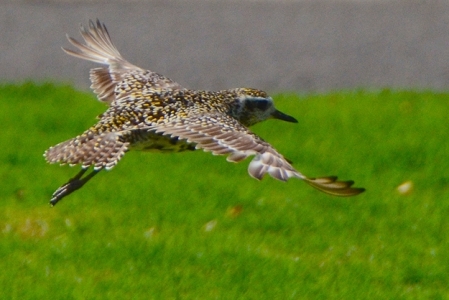 Kila made a successful roundtrip voyage and returned with Laʻa. People then began to call him Laʻamaikahiki (Laʻa from Kahiki). Laʻamaikahiki brought new items such as the large pahu heiau (temple drum). He lived on Oʻahu for a time and had three sons. These sons, Ahukini a Laʻa, Lāuli a Laʻa, and Kūkona a Laʻa, became the ancestors of the ruling chiefs of Kauaʻi and Oʻahu. Do you see a common thread among most of these reasons? Then, as it is today, the ʻohana plays a vital role in our lives. We will travel great distances and risk everything for our ʻohana. So let’s say after a long, strenuous voyage at sea, you and your ʻohana finally see land up ahead. You’ve made it to Hawaiʻi! Now what’s there to eat? Sorry, no McDonald’s drive-thru for a quick bite. In fact, although Hawaiʻi came equipped with an abundant water supply, fertile soil, and some useful plants, the islands were without most of the normal plants our kūpuna grew in their home islands for food. The missing plants were also needed to create such things as clothing, tools, and medicine. But our kūpuna were very mākaukau. They brought the missing plants with them on the voyage. So on board their canoes were kalo, ʻuala (sweet potato), ʻulu (breadfruit), kukui (candlenut), maiʻa (banana), uhi (yams), wauke (paper mulberry, or cloth tree), hau, milo, kamani, and others. That’s a lot of vegetables. What about some protein? 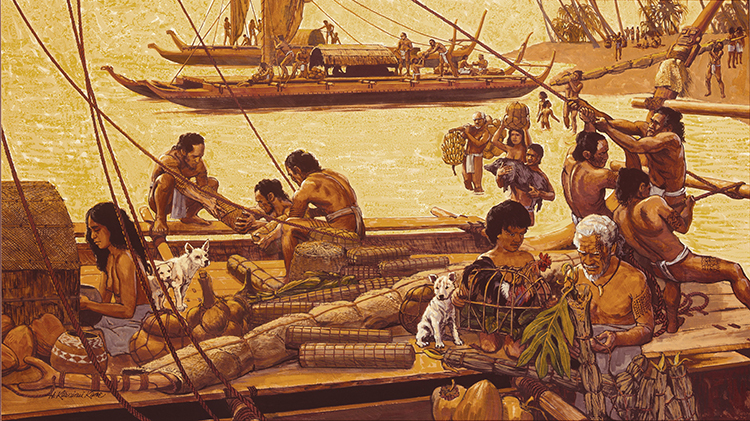 Besides the iʻa already in the ocean, the voyagers also brought with them animals. These included the puaʻa (pig), moa (chicken), and the unintentional stowaway, the ʻiole (rat). Have you ever heard the phrase, “You can take the boy from the island, but not the island from the boy?” What do you think that means? Imagine moving to a foreign country. If you were raised in Hawaiʻi where we remove our shoes before entering a house, what would you most likely do with your shoes or slippers when entering a house in the new country? No matter where you go, you always carry your traditions with you. Same with our kūpuna. Even more important than the items they brought with them was their culture, their way of life. The core culture is shared among all Polynesian people. It includes a language. It includes a view of how to interact with the environment and other people. It includes knowledge about how the people and environment are connected to spiritual forces. It includes skills of how to live successfully in an island environment. And it includes many rich aspects of arts, history, storytelling, and sports. 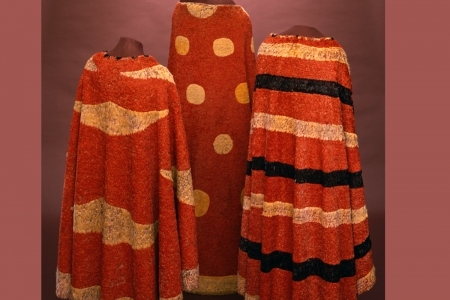 Such innovations that occurred through time made Hawaiian kūpuna unique from their Polynesian ancestors. And in this sense, it can be said that although Hawaiian kūpuna migrated here from other islands, they truly became Hawaiian in Hawaiʻi.